The analysis pane is why TARAN has been written in the first place (the rest of it is just callipers with attitude). It represents aggregated data from all shots registered in the project. 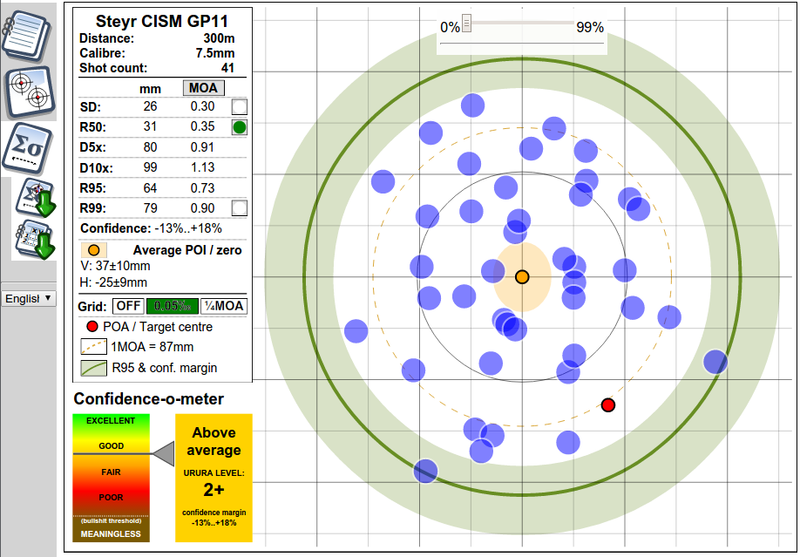 As a reference, a 1MOA circle is drawn in dotted orange. The grid can be selected (or switched off) by clicking on "Off", "0.05 mrad" or "1/4 MOA" in the left pane.